Posted bycyclingpassion	 February 27, 2013 March 29, 2017 Leave a comment on Is Miguel Indurain another Tour de France winner who doped? Is Miguel Indurain the latest in doping scandal? Miguel Indurain (born 16 July 1964) won five consecutive Tour de France from 1991 to 1995, the fourth to win five times.After Lance Armstrong lost his all seven Tour de France titles, he became the only 5-time consecutive winner of the Tour in history. He also won the Giro d’Italia twice, becoming one of only seven people in history to achieve the Giro Tour double in the same season. He wore the race leader’s yellow jersey in the Tour de France for 60 days. 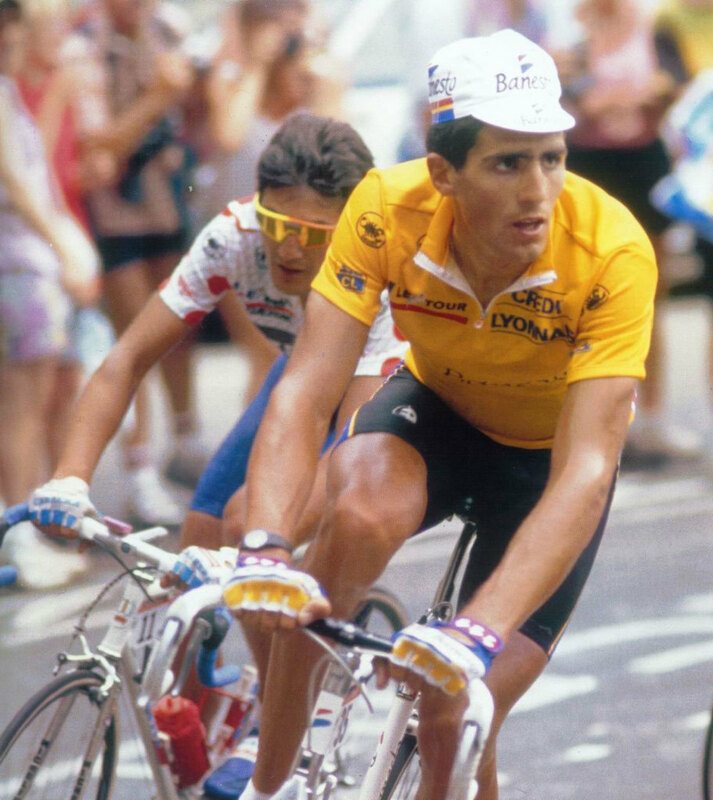 Indurain nicknamed “Miguelón” or “Big Mig”, because of his ability and physical size—1.88 m (6 ft 2 in) and 80 kg (176 lbs) (Read more on wiki). Francesco Conconi (born April 19, 1935 in Como, Italy) is an Italian sports doctor and scientist, with disciples such as life-time banned Dr. Michele Ferrari and Luigi Cecchini. Conconi is a Professor at the University of Ferrara in Italy where he heads the Centro Studi Biomedici Applicati allo Sport or Biomedical Research Institute. His research focused on tracing techniques for doping substances but he is better known for his doping activities and is said to have introduced Erythropoietin or EPO to the sport of cycling. Professor Conconi is most famous for having prepared Francesco Moser for his successful attempt to break the world hour record in Mexico, 1984 (at that time, EPO was not a banned substance, EPO has been banned since the early 1990s). This preparation included blood doping, as Moser would later admit (Blood doping was banned by the IOC-Internatonial Olympic Committee in 1985, though no test existed for it at the time). Other Conconi clients included Maurizio Fondriest (1988 UCI Road World Champion, 1991 and 1993 UCI Road World Cup winner), Ivan Gotti (twice Giro d’Italia winner-1997 and 1999), Piotr Ugrumov (twice Tour de France stage winner in 1994), Claudio Chiappucci (multiple Tour de France and Giro d’Italia stage winner and won KOM jersey in both grand tours), Mario Cipollini (2002 UCI Road World Champion, multiple Grand Tour stage winner-12 stages in Tour de France, 42 stages in Giro d’Italia-Giro record, and 3 stages in Vuelta a España), and the late Laurent Fignon (twice Tour de France winner-1983, 1984 and Giro d’Italia winner-1989).